This unusual cupcake combination was ordered by Lisa for a delightful sounding – young at heart- lady by the name of Nora who was celebrating her birthday. 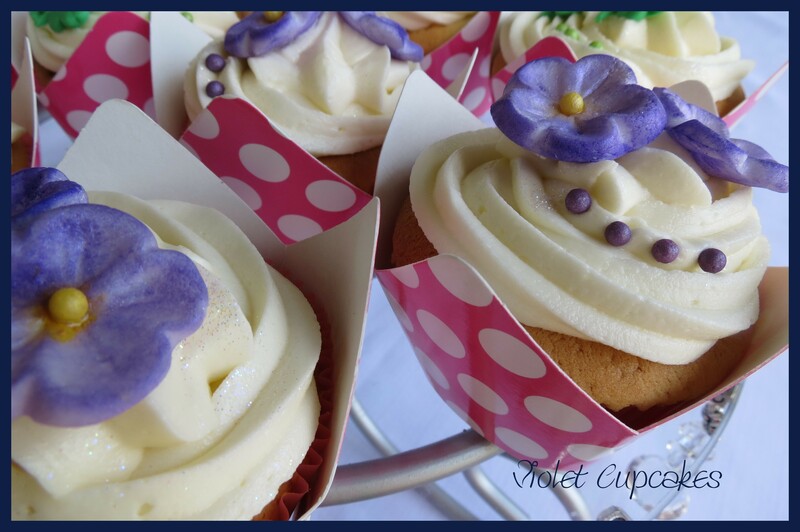 I love that Lisa asked me to do cupcakes with Nora’s favourite flower – violets – and also represent Nora’s Irish heritage in the same order! Lisa chose the pink polka dot cupcake cases to match the decor of the party and I couldn’t resist photographing these pretty cupcakes on Russell’s beaded cake stand and adding the petite Willow Tree ‘Irish Charm‘ figurine to my display. Her exquisite curls and Irish charm seem to capture everything that Lisa wanted to celebrate with Nora on her birthday. 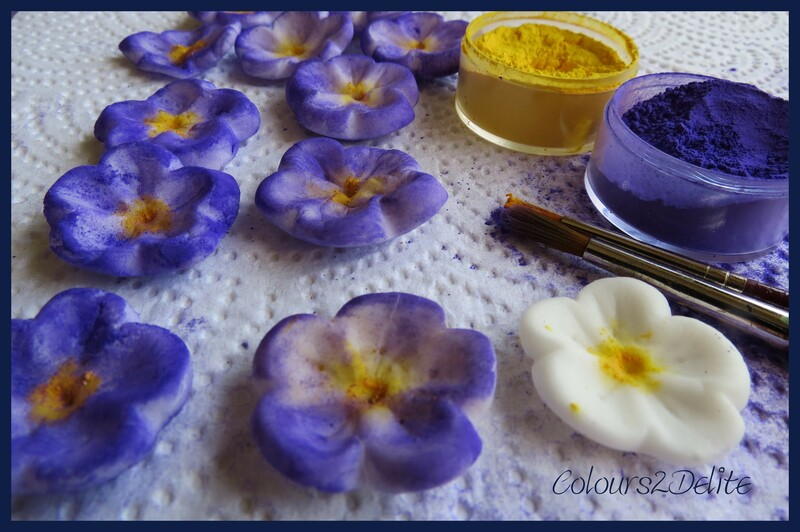 I used a chocolate mould from the Chocolate Den to mould the violets from white sugar paste. The centres were dusted with Rolkem’s Canary yellow colouring and the rest of the violet dusted with Rolkem’s Iris colouring. 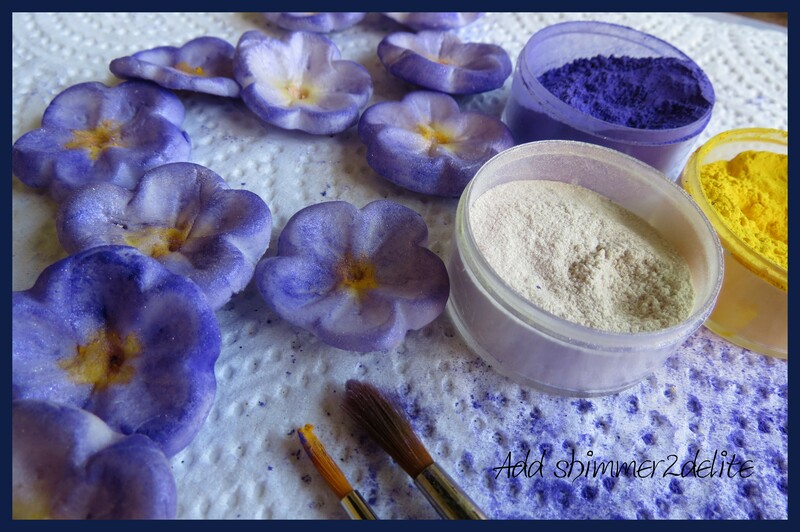 For a deeper violet edge to the flower I brushed on more Iris with a firmer brush. This gave a beautiful depth to the violet. The violets were finished with a fine dusting of Rolkem’s, Super Silk, leaving the flowers with a simple but effective lustre. None of my cupcakes are complete without sugar beads so I added a yellow sugar bead to the centre of each violet and then a dainty trail of sugar beads to each cupcake. 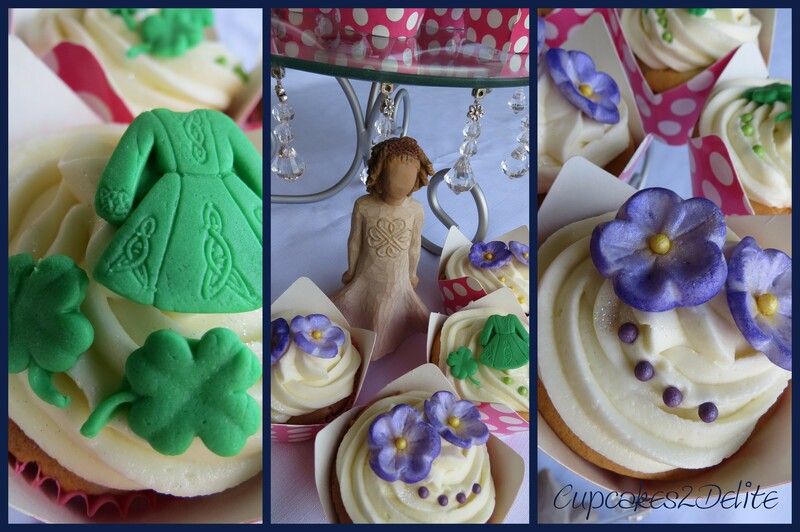 The Irish dance dresses and shamrocks I made with green sugar paste and a mould I had made from a dress and shamrock button at Kadies in Fourways. 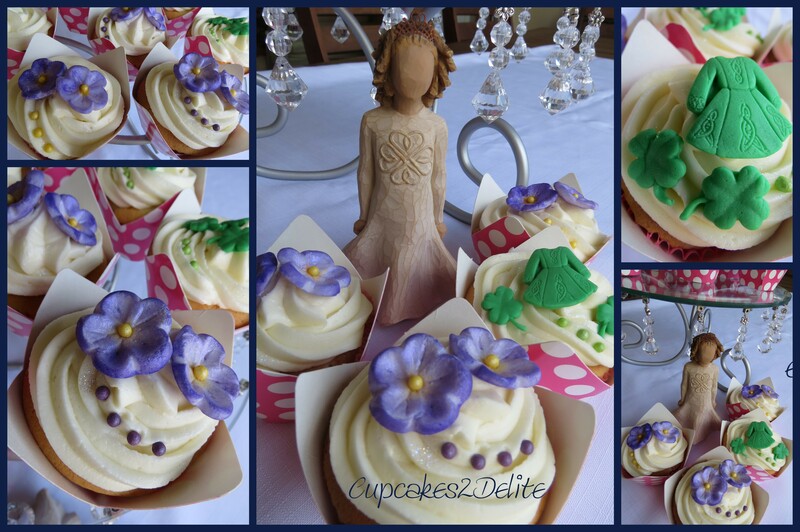 They certainly brought in the Irish theme to these cupcakes and again the detail on the dress is that delightful that you can almost hear an Irish fiddle playing when looking at these cupcakes! Nora may the luck of the Irish be with you for many more brilliant birthday celebrations.